:: NikG* Life + Style ::: My "New" Way of Flat Ironing That Only Requires ONE PASS. 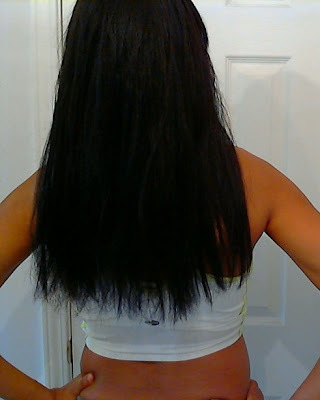 My "New" Way of Flat Ironing That Only Requires ONE PASS. Also, I am NO LONGER USING THE DENMAN. Here's why... I've been feeling like my hair has been thinning slightly. This is something I think I've noticed over the past 6 months. Now, I realize as hair gets longer, it does appear thinner because of the lack of volume that shorter hair showcases, and this could definitely be the case with me. To be on the safe side, I've got my regimen down to where I only detangle with my shower comb, and any other other combing that needs to be done is done with a fairly wide wide-toothed comb. This has given me big peace of mind. 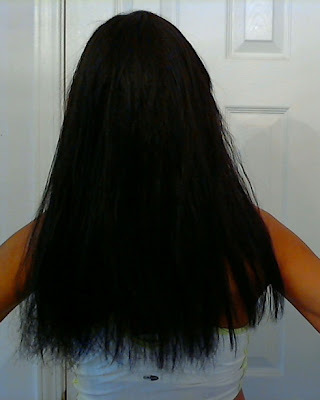 I also no longer use that "straightening comb" that I showcased in my flat ironing YouTube video, as I've now got a simpler flat ironing routine, that gives me sleek results without it. 1. I washed and detangled my hair in the shower with Trader Joe's Nourish Spa shampoo and then conditioned with Silicon Mix conditioner. Once out of the shower, I applied a little Hot Six Oil throughout my hair, followed my Fantasia IC Heat Protection Serum. 3. Next, I take small sections of the ponytail, detangle with and then roll on the magnetic rollers until the whole ponytail is in rollers. 4. 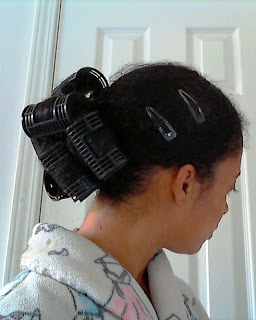 Let airdry or dry with a bonnet dryer. 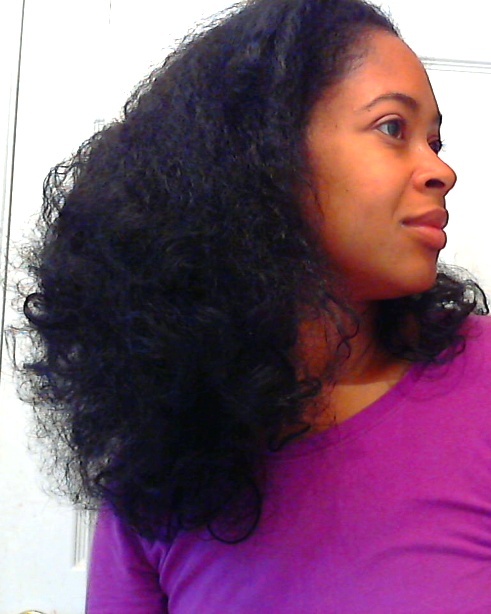 Like I'd mentioned above, I dry for about 15 minutes and then sleep on it overnight. 5. 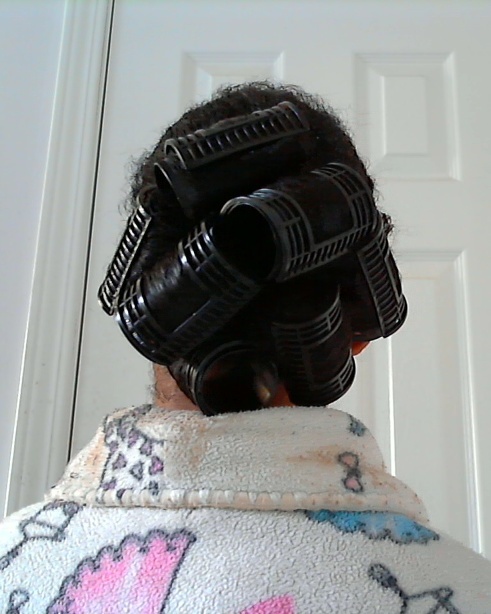 Once dry, take out the rollers and comb out. 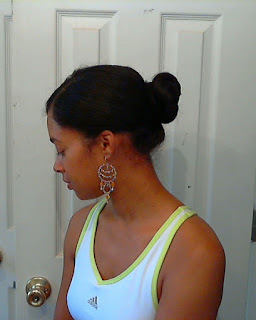 As you can see, if I'd maybe done a couple more ponytails, I'd be able to just stop here and just wear the style. Feel free to do that sometimes ladies. 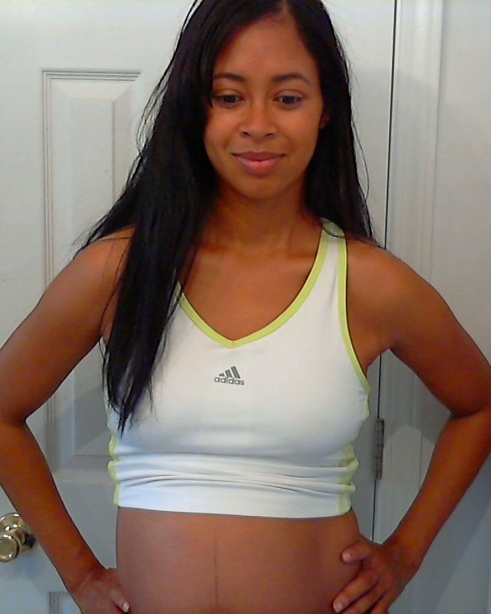 Oh, and I'm currently 25 weeks pregnant. Only 15 more weeks to go! It's a BOY!! Anyway, hope you enjoyed this tutorial and that it was helpful to someone! Another boy, yay! You look great! Good idea! 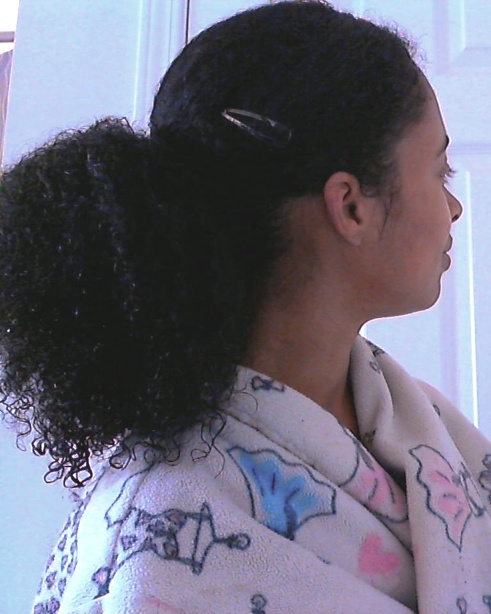 I saw TraNaturally on YT do the one ponytail rollerset and I can't wait til my hair is long enough to do the same. 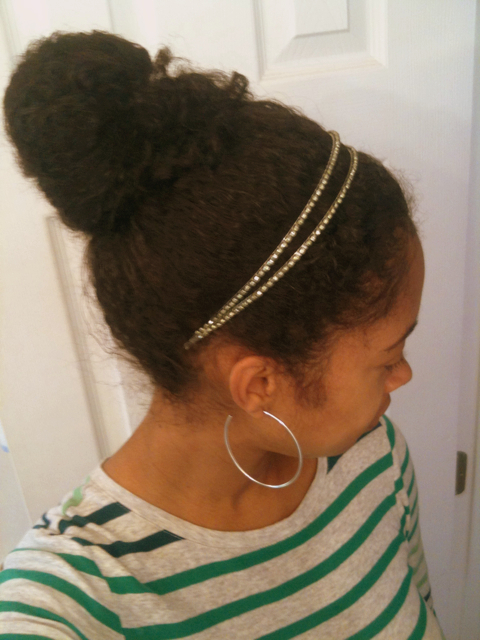 I may do it just to stretch my hair for buns now. 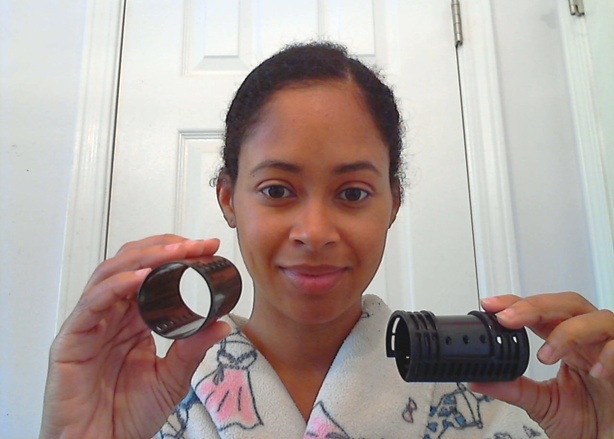 Thanks for the tip on the ponytail rollerset. I tried it before but didn't let it airdry. Also, I'm not that great with the blowdrying so this may be a good alternative. Cute Tummy! Love the tutorial. I will definitely have to try the wet set in a ponytail! Might be just what I was looking for. And congrats on the boys! Yea! I am going to try this! 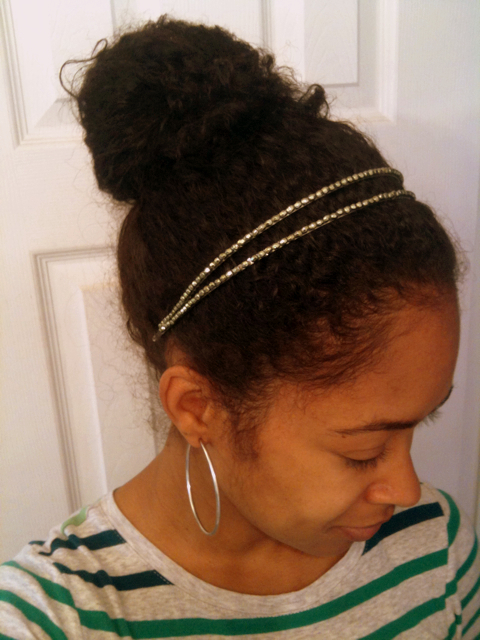 Been so frustrated with my hair lately and our hair types and length are similar. I dread going to the salon because the Dominican ladies want to process it and the Black ladies don't want anything to do with it. I also don't like investing a lot of time in my hair, but this looks like a great alternative. Thanks for sharing. Is NikkiDior from Youtube your sister? Ya'll look alike. Congrats on the baby boy! Thank you so much for sharing this! It is the perfect solution for my ends. I usually air dry in a bun before flat ironing, and this is such a better method! Ur my daughters hair idol. 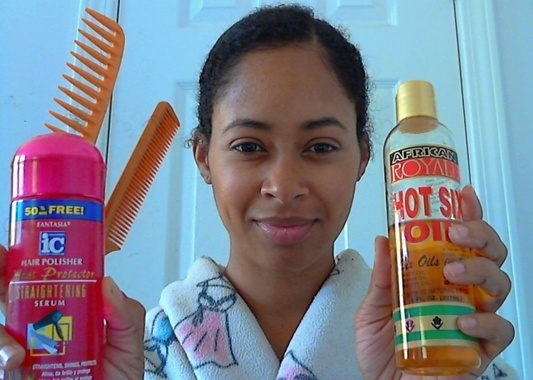 We just went thru ur hair blog, bout to try one of the looks! I'm so flattered!! Feel free to ask me any questions!